When it comes to snow removal, crew size matters. It makes the difference between plowing your retail parking lot, multifamily property or commercial grounds just one time during a storm—or having a team return to make a second pass (or more). Smaller crews with tighter territories finish routes faster so they can make second rounds on properties. Another benefit to smaller teams that pay close attention to your property: In Northeast Ohio, we’re on the cusp of a snow belt and lake effect, which can lead to dramatically different snowfall amounts. Your site may be buried, but 5 miles from you, there may be next to nothing. At Schill, we run lean, efficient teams that are equipped to manage even the largest commercial sites. 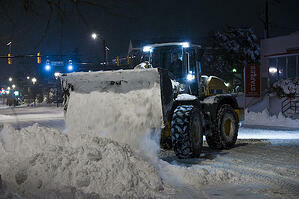 Here’s why we maintain smaller snow removal crews—and why that’s better for you. Boasting about large crew size might make a company sound like it has a village prepared to manage snow on your commercial property. But larger crews get bogged down on a site, and it can actually take longer for them to complete the work. Asking a snow contractor about crew size is probably not the first question on your list when vetting a snow removal company. But we recommend finding out how many teams the company dispatches in your area. 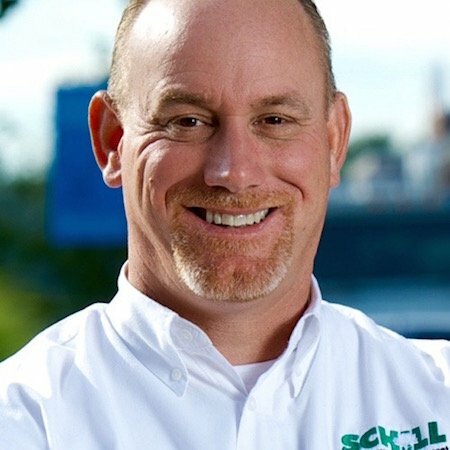 If we asked our supervisors at Schill to oversee far-reaching territories, including multiple cities in Northeast Ohio—say, 60 to 70 properties—there’s no way those customers would get the attention they deserve. Our supervisors are dedicated to more compact territories. So, rather than letting Doppler call all the shots on how to prepare for a snow event, our supervisors are out on properties making visits and calling in additional snow and ice management resources if necessary. If a salt truck’s route is too large, the time required to manage ice during a storm can exceed what customers require to maintain a safe property. Safety is our No. 1 priority in our snow and ice management efforts. If we spread resources thin and push our salt trucks to cover more ground, our clients suffer. At Schill, our salt trucks’ routes can be completed in two to three hours. This is critical because if a snow event occurs at 4:30 a.m., we need to respond immediately and efficiently so all of our commercial clients have clear, safe properties before the start of the business day — whether they’re the first property we visit, or the last. A crew’s “day” can start at any time. (We can’t plan when Mother Nature is going to blow in a storm.) Timing is everything with snow removal, and smaller crews allow our teams to plow all of their assigned properties, and then return to continue keeping the property clear and safe. Generally, our plowing routes take four hours to complete. So, if a Schill crew plows a multifamily property at 9 a.m., the property managers on site know that our team will be back to plow again at about 1 p.m. And if the snow’s still coming? A crew will be on the property once more at 5 p.m. When snow removal crews are too large, then a property may get only a single visit during a snow event. That’s not enough to keep a property safe. 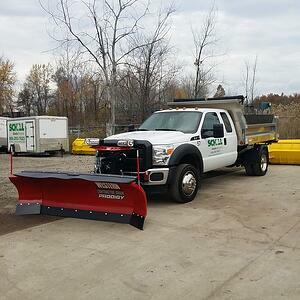 At Schill, we dispatch small snow removal crews because we can work more effectively and efficiently this way, delivering you the best results for your budget. On large properties we service, dedicated equipment is on site so we’re prepared to respond immediately to snow events. Let’s talk more about how you can keep your property safe this winter. Call us any time at (440) 327-3030, or fill out our simple web contact form and we’ll get in touch with you. In the meantime, learn the right questions to ask and how to select the right winter service partner in Schill's FREE e-book, the Guide To Hiring A Snow & Ice Management Contractor.